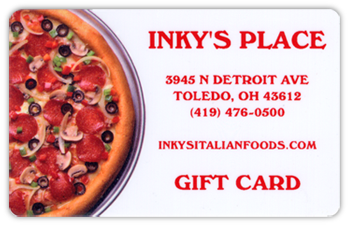 The Inky's Gift Card makes the perfect gift any time of the year. To get yours simply come in to Inky's and tell us the amount you'ld like to put on the card. It's just that simple. No expiration date, use the card any time.